Yup, that’s it. What is it? Empathy is about vicariously understanding your audience and working hard to serve their needs. Ain’t that the truth! Preach on Brian! So the next time you revise your customer journey map make sure its based on empathy journey mapping and I believe you will start seeing the results within a couple of months. Empathy isn’t cheap in this age of content shock. If you provide it to your audience in an honest way you will become more valuable that you ever thought. So this is where marketing comes to play and why it matters all the time. 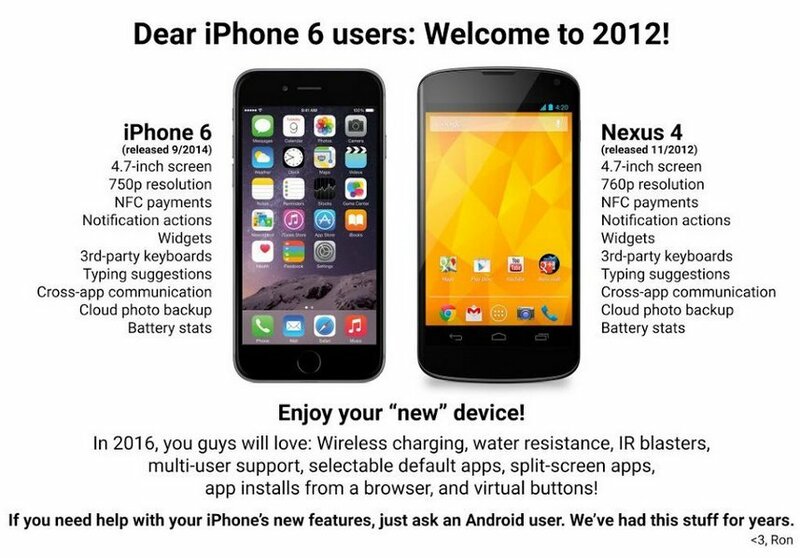 Yes, the Android might have all the features in 2012 what the iphone 6 now has in 2014. So I am here to tell you all of that stuff doesn’t matter. It’s all about marketing. Marketing is NOT a product features game (like the list in the image). If it was so many companies would be out of business right now. Also, Apple has BRAND equity and a lifestyle attached to it. Samsung makes phones, tv’s, refrigerators, watches, laptops, speakers, cameras, washers, dryers, etc. A brand that has these many line extensions will not succeed in the cell phone war for the long term. They might do well but they will never surpass Apple in brand equity. I am not saying anything new here, this is just marketing 101. This is why amazon’s phone did not work. Think about branding and culture, Tim Cook, Steve Jobs, Woz, “geniuses” are synonymous with Apple. Who does Samsung have? The future of marketing is bright, very bright! The biggest Symposium in the company’s history happened last week and I got to be a part of it. Met the worlds most insightful and sought after analysts. Attended some amazing sessions on future tech/marketing progress. Very cool week. Marketing is going to be ruling technology. Its fascinating. Marketing is leading the way and technology has not other choice but to follow and keep up. @ThePitch_AMC is a great show for all ad agencies. That’s it, really. I am glad #ThePitch came back for a 2nd season on AMC. I think its a great way for agencies (I worked for 2 in my past life) to see what works and what doesn’t. The best part of the show is the briefing and of course the Pitch. The creative process is great as well. The part that I do not like is the personal stories of everyone. I do not want to sound rude but most marketers and advertisers watch the show for the agency content not how many kids the ad exec has. I remember the last episode of the young ad agency executives from mischievous studios, who were specialists in viral videos getting it wrong. As soon as I heard one of them say, its all about “entertainment” I had a feeling they were not going to win. The simple reason why: its not all about entertainment. Its about SELLING. The holy grail in marketing: Entertaining the consumer while subliminally selling your product creating brand equity. Ad agencies are here to sell the product. That is their #1 goal. Entertainment is part of the goal but not the goal itself. 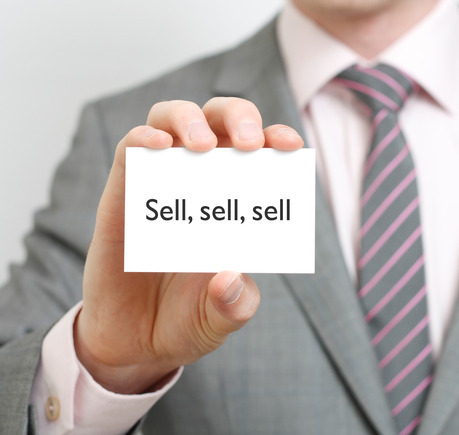 Many agencies are forgetting the sales part. Do some research and you will find that the majority of ad agencies who win creative awards do not hold on to the client for long because while the ad might have entertained, the sales were very weak. Overall, love the show and I hope it keeps on going even though the ratings are low. I am sure it costs them very, very little to produce the show so it works. I also love interacting with people via twitter while the show is on… very cool. Keep it going AMC! First of all there are many places that cant even get both of these right. But let’s say you have great food and great service but the volume coming in is still not making you any money… what else can you do? Let me give you an example of Indian restaurants, as you all know they pretty much have the same menu as every other Indian place. 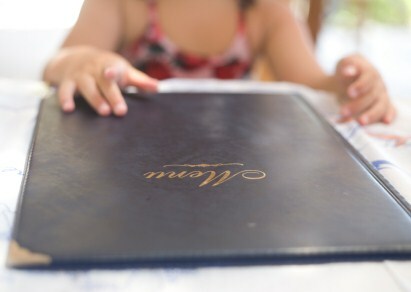 What you need to do is have a special dish that no other Indian restaurant serves and make sure its AWESOME. Make sure that it becomes the talk of the town. People will come in to try that and order other things off your menu. I know its a simple idea but no Indian restaurant within 20 miles of my house does this. If its really good it will get great PR and word of mouth (which is better than any other marketing in the world). Also, change it up a little. Why only serve chicken, lamb and goat. Serve some beef or pork. Make something special with those meats in an Indian spiced up way that has not been done before. You will get a whole new customer base. They will start to share it everywhere using all the digital sharing platforms out there. This is not some miracle advice but just basic marketing tips utilizing some basic laws of marketing. I hope a place like this opens up in the near future. Jim Rohn is too gooood! Leaders, whether in the family, in business, in government, or in education, must not allow themselves to mistake intentions for accomplishments. Managers help people to see themselves as they are. Leaders help people to see themselves better than they are. Leaders must not be naive. I used to say, “Liars shouldn’t lie.” What a sad waste of words that is! I found out liars are supposed to lie. That’s why we call them liars — they lie! What else would you expect them to do? We must learn to help those who deserve it, not just those who need it. Life responds to deserve not need. My mentor said, “Let’s go do it,” not “You go do it.” How powerful when someone says, “Let’s”! Leaders must understand that some people will inevitably sellout to the evil side. Don’t waste your time wondering why; spend your time discovering who. We could all use a little coaching. When you’re playing the game, it’s hard to think of everything. As a leader you should always start with where people are before you try to take them to where you want them to go. 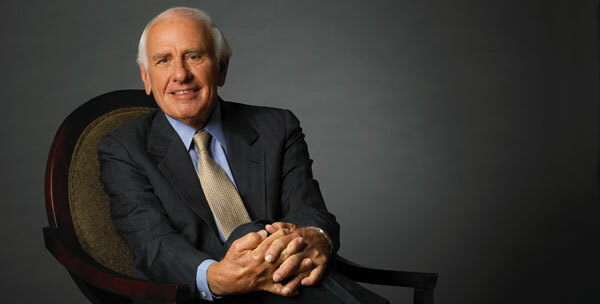 Quotes by Jim Rohn, America’s Foremost Business Philosopher, reprinted with permission from Jim Rohn International ©2011. As a world-renowned author and success expert, Jim Rohn touched millions of lives during his 46-year career as a motivational speaker and messenger of positive life change. You have to stop copying what Apple is doing and make your own devices/solutions that will revolutionize the way people live their lives. Just like what Microsoft did with Windows 95 and bought the power of user friendly computing to every household. As a marketer when I see the surface tablet ads, it does not leave an impression with me. I forget the whole ad in seconds and move on to look at my iphone. When I played around with it I asked myself what does this do that I already do not do with my ipad? Answer: Nothing. I am not an expert on technology (at least not yet) but in marketing (also positioning) you have to build a product that no one else has done before (a revolutionizing product) and take the first position category in someones mind. We know Microsoft has money, now all they have to do is get trendspotters, futurists and top minded technologists in a room to give is the next best thing! When I first got into marketing, I started to read Seth Godin. He spreads ideas like viruses and inspires people to Poke the Box. I am lucky enough to work for a company now that invites him to talk and share his insights! What is the best marketing in the world? Don’t let anyone fool you. It’s always been and will always be word of mouth! A great concept that is being overlooked in marketing these days is a concept called “Positioning.” Positioning is the first thought that comes to mind when you think of a certain product/entity and owns that #1 position. Advertising dollars can all go to waste if they are not built on positioning. Many have! As marketers we have to get into the consumer’s mind, stay there and build our equity. Not easy to do! But without it we are not going to survive. (or at least stay on top for long). What’s that word (or thought) that comes to mind when consumers think of your product? Are you comfortable with your position? What is it?